Drake Music is calling for your input into a significant consultation into the barriers disabled people face in accessing music education. On Wednesday 21 September Drake Music launched a consultation to investigate the barriers that disabled people face in relation to formal music education. It is hoped that the findings, which will be available towards the end of the year, will assist in achieving the core aim of breaking down disabling barriers to music. We are calling on our friends, supporters and those with an interest in music education and SEN/Disability (SEND) issues to respond to the consultation by 2nd November. All respondents will be entered into a prize draw to win a Skoog – a new musical instrument that’s accessible to many SEN/Disabled young people. 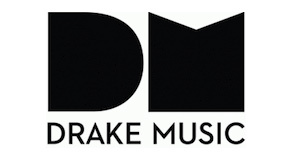 To coincide with the consultation, Drake Music is also launching a new series of DM Education web pages on its website at: www.drakemusic.org/dm-education. These pages will enable users to share information on accessible music resources and courses, as well as the experiences of disabled people in formal music education. The web pages are a place to publicise and promote information on all aspects of the SEND ‘kaleidoscope’ in relation to formal music education, the curriculum and accreditation, as well as providing a forum to share experiences and discuss issues. The resources and courses include Drake Music’s new Introduction to Music course, accredited by OCNSWR. – By filling out the relevant questionnaires which can be found here. – By helping to advocate this work. You can do this by re-posting this news item encouraging others to take part in the consultation. – By encouraging others to view, add to and comment on the new DM Education web pages. “Despite the importance of music to many SEN/Disabled children and young people, very few gain accreditation of any kind in music and formal curriculum pathways remain poorly defined. We hope the findings of this consultation will help to inform the work of DM Education, enabling us to increase access to formal music education. If you are a music leader who wants to develop their practice to work with SEN/Disabled young people, then don’t miss our Challenging Circumstances training program starting in November.